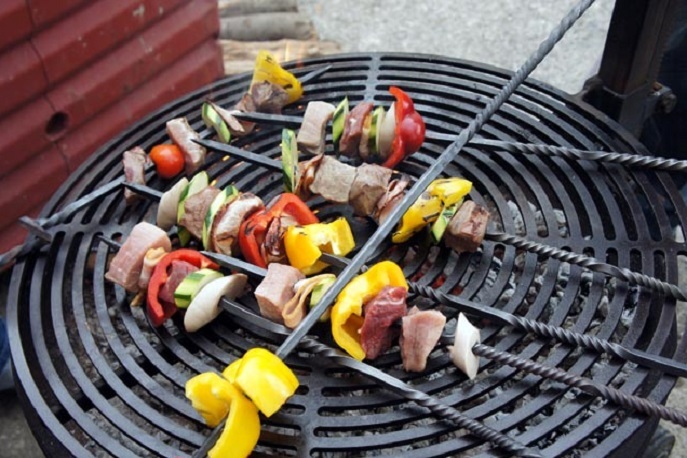 Forge your own barbecue skewer and try it out while enjoying a barbecue. 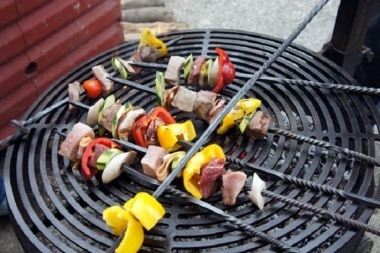 Make a skewer or a forceps and use this grill tool afterwards at the BBQ fun and enjoy the tasty buffet. First you will put on protective clothing (protective glasses, gloves and an apron) before you get to work. Each participant will be given a square bar which they will then hammer into a round skewer using a hammer and anvil. In doing so, you will create your very own barbecue skewer in only a few steps. Alternatively, you can also make a horseshoe or barbecue tongs − either way, you will still be part of the barbecue get-together. Whilst you're trying your hand at this new trade, the blacksmith will tell you interesting things about his craft and offer fascinating insights into the everyday work of a smithy. After the work is done, the indulgence can begin! The BBQ will be prepared and the participants can put their meat and vegetable pieces from the generous buffet straight onto their own made skewers and then put them to the test. Incidentally, the culinary treats also promise to be quite a highlight. If the weather is bad, the barbecue can be held indoors which is why this activity is also popular as a Christmas dinner for employees or customers. 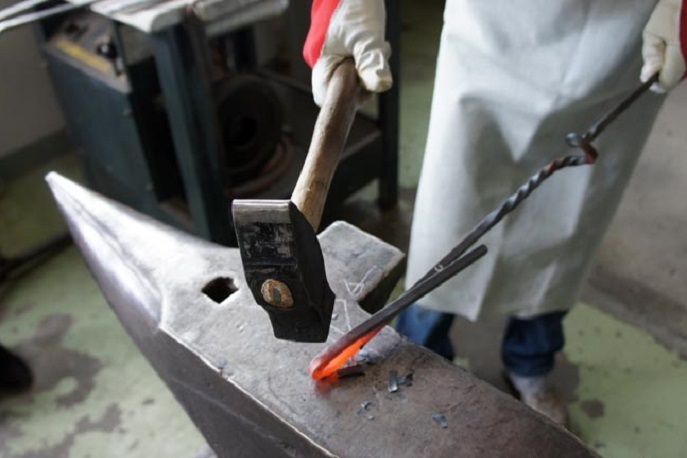 All forging materials (iron, tools, equipment etc), safety clothing (gloves, protective eyewear and apron etc), rental of the smithy with anvil and hearth, supervision by the blacksmith, soft drinks, barbecue and generous buffet. Nothing in particular, an enjoyment of hammering/forging and a good appetite for afterwards! If you would like to forge a sculpture (without barbecue get-together), try Team forging.